Teaching social emotional based lessons can be tricky when your students are still unfamiliar with the feelings they may experience. 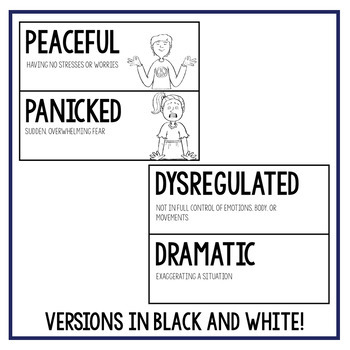 Make skill building, correcting, and growth EASIER with these visual word wall cards for students to refer to daily! 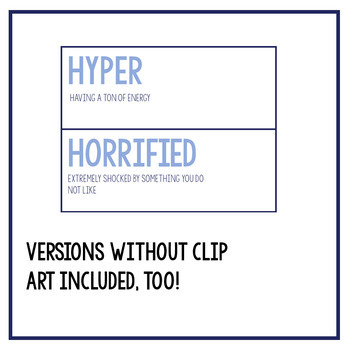 This product includes 46 emotions vocabulary words with and without associated visuals to help students build their vocabulary and better describe their feelings and situations they encounter daily. 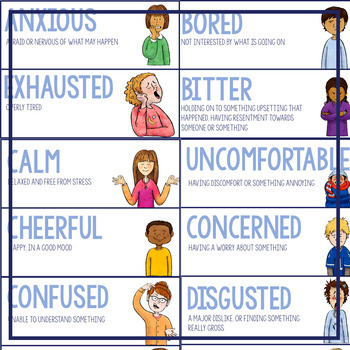 The chosen words are more advanced than most basic emotion words to help students get to the root of their feelings while also building vocabulary. 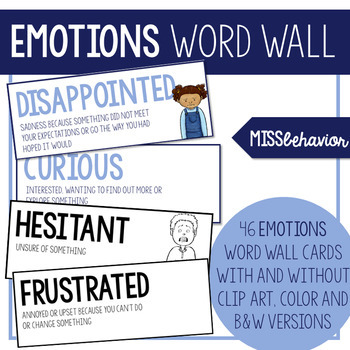 These cards can be used in a multitude of ways, including creating an emotions word wall in your classroom, office, or clinic!